How do you produce a worthy follow-up to a movie that many consider to be one of the greatest and most refreshing action films of the last decade? Chad Stahelski was left facing that exact conundrum back in February, when the writer-director took point for John Wick: Chapter 2. Taking over all directing duties from the departing David Leitch – the two had worked together on the original John Wick, before Leitch checked out of The Continental to helm Charlize Theron-fronted action movie, Atomic Blonde – Stahelski dramatically expanded the scope of the John Wick underworld, sending Keanu Reeves’ ice-cold assassin to Rome in the process. The end result was a good – if not great – sequel that simultaneously opened up a bloody new chapter in John Wick‘s saga all the while leaving the door open for a potential threequel. And make no mistake, a John Wick: Chapter 3 is absolutely on the cards over at Lionsgate. Reeves and Chad Stahelski are reportedly mulling over ideas for Wick’s next globe-trotting tale, and it seems MCU stalwart Samuel L. Jackson wants in on the action. Perhaps it’ll rein in the focus to chronicle John’s attempted escape from New York? Or will Chapter 3 blow the doors open and delve deeper into the labyrinthine world of assassins and cold-blooded killers that was teased at the tail-end of Chapter 2? 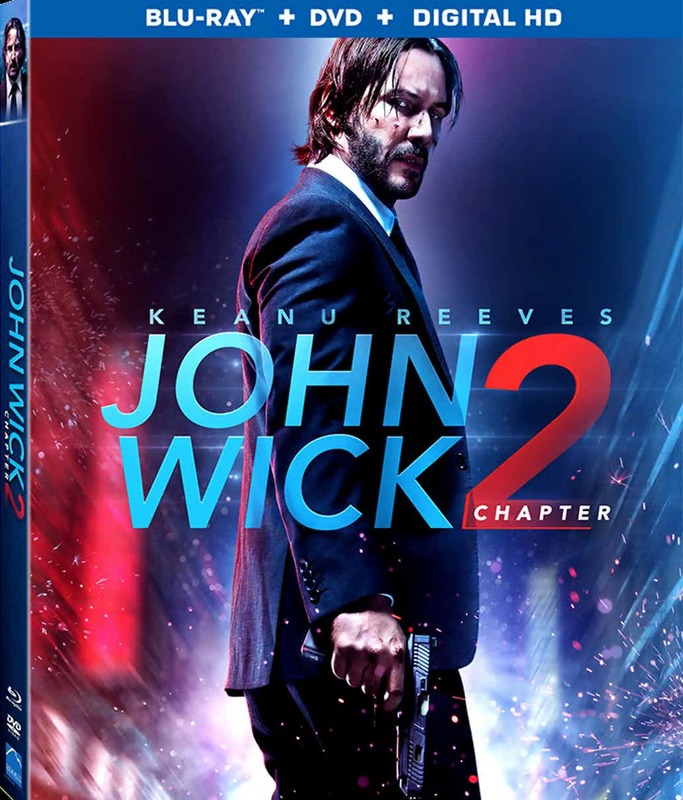 John Wick: Chapter 2 makes a beeline to Digital HD on May 23rd, before making the jump across to Blu-ray and DVD on June 13th. If you feel so inclined, you can pre-order Chad Stahelski’s super-stylish sequel here, and by taking said “blood oath,” you’ll even unlock exclusive content, the details of which are yet to be revealed.